After purchasing a Raspberry Pi 2, I decided to move some of my projects to it. I also added an external 2.5 inch USB drive via a USB hub. I store various sensor information in a MongoDB database and needed everything to run on the R-Pi 2. 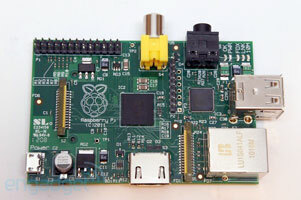 I chose to stick with the well-supported Debian Linux port, Raspbian Wheezy, as opposed to ARCH Linux that I used on my old R-Pi B+, as the R-Pi 2 has a quad core ARMv7 processor that requires a new kernel. 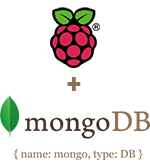 UPDATE (30 January 2016): I’ve compiled MongoDB 3.0.9 and tools for R-Pi 2 Raspbian (Jessie). Check here. UPDATE (25 December 2015): Instructions for compiling MongoDB 3.0.7 and tools for R-Pi 2 running Raspbian Jessie are now available. Check here. UPDATE (8 November 2015): If you are running Raspbian Jessie, you can “apt-get install mongodb”. This will result in an install of MongoDB v2.4. Good enough for most uses and you get a working mongo shell 😉 If you want MongoDB v2.6.3, read-on! I was back to hunting for a compatible MongoDB binary — or instructions on how to compile from source. Research showed that MongoDB does not compile for ARM after version 2.6.3 🙁 Searching the ‘net led me to the “facat’ blog.” This blog shows how to cross-compile MongoDB 2.6.3 for ARM. Precompiled binaries are also available. NOTE that the mongo shell does NOT work correctly on the R-Pi. “mongod”, the server, does work fine and can be accessed programmatically or via a mongo shell from another (non-R-Pi) computer. I use “mongo” on my Mac to connect to “mongod” running on the R-Pi 2. I’ve been asked in emails and comments about what software I use on my 1942 Crosley Radio-Pi project. I use the recommended Raspbian distro of Linux based on Debian Wheezy. I normally do not start or use the GUI/X. 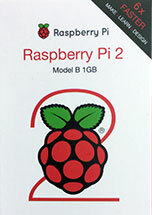 Many Raspberry Pi users use a Linux distro oriented around XBMC such as OpenELEC or Raspbmc. XBMC is a software media player that allows users to play and view most videos, music, podcasts, and other digital media files from local and network storage media and the internet. While I have a Logitech K400 keyboard with touchpad attached via a USB dongle for “local” use, I almost always ssh into the R-Pi from my Mac. The Radio-Pi is connected to my home Wi-Fi network via an Edimax EW-7811UN Wi-Fi USB adapter (US$10 at Amazon). 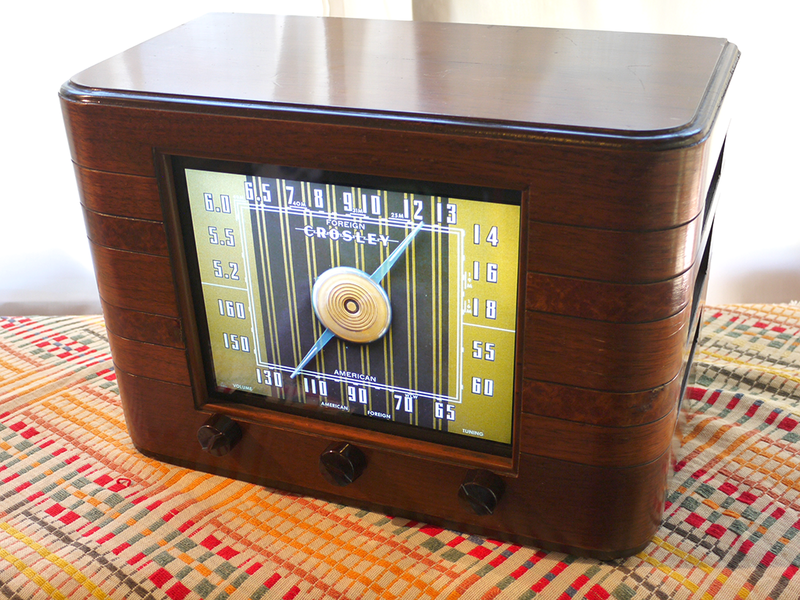 A while back, I saw a picture online of a restored antique radio that caught my attention. The accompanying post described the process of restoration. 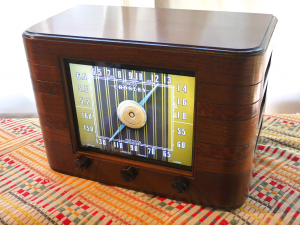 I’m not into radio restorations but I think the old wood radio cases are very “cool”. I also recently contributed to a Kickstarter project for HDMIPi, an “affordable 9 inch High-Def screen for the Raspberry Pi”. 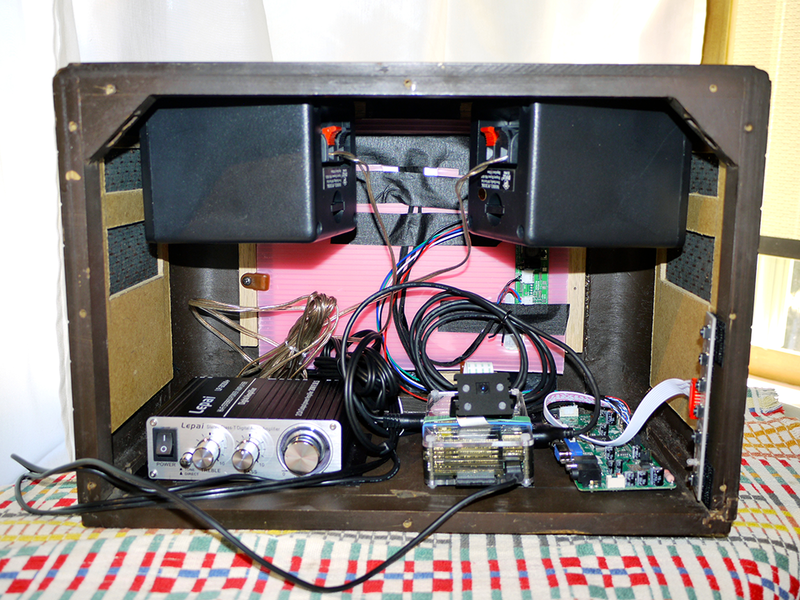 I thought that I might place the screen and R-Pi inside an old radio case. After looking on eBay and craigslist, I could not find a suitable enclosure for the HDMIPi and paper mockups showed the screen to be a bit small at a distance. I used my old original iPad as a test device for measurements and viewing. I liked the viewing and pixel size of this its screen.